Much like the way humans constantly generate new skin cells, the bottom of the ocean regularly forms fresh layers of seafloor. Volcanic activity causes the seafloor to spread along oceanic ridges, forming new areas of crust and mantle. After being generated, this new oceanic lithosphere cools down and contracts by up to 3% of its own volume. This contraction can trigger oceanic earthquakes. The basic mechanics of tectonic plates—the massive, constantly shifting puzzle pieces that make up the Earth’s surface—are fairly well understood. 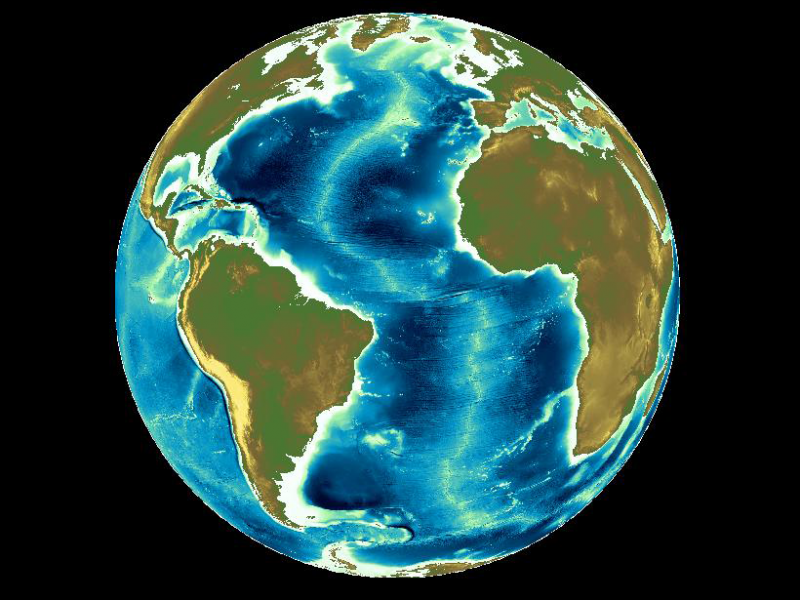 However, scientists cannot accurately predict how much the oceanic lithosphere will contract horizontally during the process described above. Sasajima and Ito studied this thermal contraction [Tectonics]by examining stress released by oceanic earthquakes over the past 55 years in newly formed sections of oceanic lithosphere (approximately 5–15 million years old). They also simulated this activity using mathematical models. The team found a distinct difference in two components of the released stress: one parallel to the ridge and another perpendicular to the ridge (i.e., in the seafloor spreading direction). Namely, the ridge-parallel components experienced 6 times as much extensional stress release, whereas the spreading components endured 8 times as much compressional stress release. In their numerical simulation, the researchers found that young oceanic lithosphere hardly ever contracts in the ridge-parallel direction. At most, it would do so only a quarter of the times that it would contract in the spreading direction. They concluded that because the layer of mantle underneath the lithosphere (the asthenosphere) is weak (low viscosity) and also because oceanic ridges are relatively weak, the young oceanic lithosphere is able to contract more freely in the spreading direction.